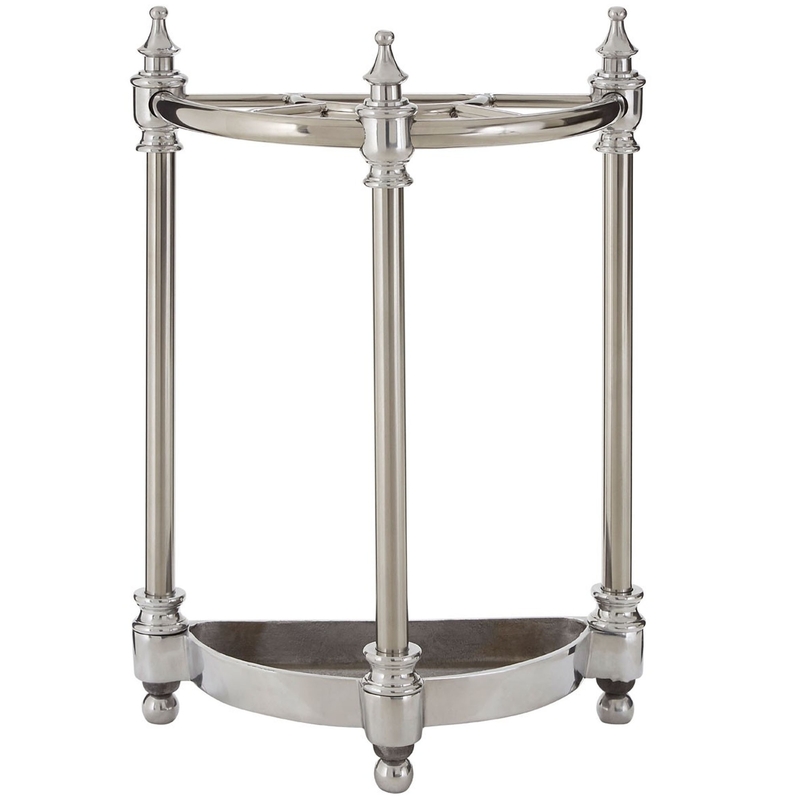 Add a modern style to your home by introducing this gorgeous Silver Umbrella Stand. This umbrella stand features a lovely and traditional design that takes 3 elegant legs and makes it hold up a beautiful stand. This umbrella stand also features a compartment at the bottom to catch any dripping water from the umbrellas.